No doubt about it, McDonald’s of Chiefland owner/operators, Andree and Kenneth Kocian, appreciate the Levy County Sheriff’s Office. On Monday, March 31, Mr. and Mrs. Kocian arrived with crates of sausage, egg, and egg white McMuffins, cinnamon melts, and fresh hot coffee, plus all the essentials to enjoy a delicious hot breakfast. The couple wanted to express their thanks for the job that first responders do each and every day. Mr. Kocian said they recognize the commitment it takes for individuals to put their lives on the line to keep the public safe. Kenneth is a retired New York City Police Department Lieutenant and is pictured in his agency uniform. Andree also comes from a lineage of Law Enforcement. Her father is retired from NYPD. The Kocians are the owner/operators of several area McDonald’s Restaurants and operate these businesses as R.A.N.K. Quality Restaurants located in Gainesville. The Levy County Sheriff’s Office thanks McDonald’s of Chiefland and Mr. and Mrs. Kocian for their generosity and support. A suspicious package was delivered to a local business man in Bronson today. An envelope containing a clear plastic baggie with an unknown tan/white residue was found inside. No letter accompanied the substance. The Levy County Sheriff’s Office responded and immediately contacted the Levy County Public Safety Department, who in turn contacted a regional Haz-Mat team. The building was evacuated and the employees were assessed by Levy County EMS. The Hazardous Material Response Team from the City of Gainesville responded and conducted preliminary testing of the substance. These tests were inconclusive. Further testing to make a positive identification of the substance will be performed by the Florida Department of Health Laboratory in Jacksonville. The Levy County Sheriff’s Office is now able to provide the name of the victim involved in the fatal accident which occurred on March 11, 2014 in Inglis, Fl. The victim has been identified as William Gerard Walsh W/M 12-9-1974, an Inglis resident. A preliminary report from the Fifth Circuit Medical Examiner’s Office revealed during their examination that the manner and cause of death was accidental due to blunt head trauma. The family has provided a picture of Mr. Walsh for this updated release. The Levy County Sheriff’s Office responded to Rivals Bar located at 439 Highway 40 West in Inglis, Fl., shortly before midnight on March 11, 2014. A patron called 911 reporting a fight between multiple people inside the bar. 911 communications officers continued updating Deputies as they responded. The 911 caller described a Jeep leaving the scene and told dispatchers the Jeep was occupied by the people involved in the fight. A responding LCSO deputy located the vehicle east bound on SR 40 in the Town of Inglis. He turned around to conduct a traffic stop. As the deputy gained on the vehicle, he observed a person lying in the road. The deputy immediately stopped to render aid and observed the Jeep pull into an adjacent parking lot. Additional responding units contacted the driver and occupants. Statements taken on scene by Deputies determined the occupant jumped from the moving vehicle in an attempt to avoid apprehension. The victim, a 39 year old Inglis resident succumbed to his injuries. His name is being withheld until proper family notification has been completed. The investigation is continuing. On March 10, 2014 Johnny Jerome King registered as a Sexual Predator with the Levy County Sheriff’s Office. By Florida law King is required to notify law enforcement whenever he changes addresses. Johnny Jerome King was convicted in 2004 in Alachua County, Fl for Lewd or lascivious molestation victim under 12 years offender 18 or older; F.S. 800.04(5)(b) (PRINCIPAL). King has changed his address and registered his new address as: 17193 NE 40 Street Williston, Fl. Cooperation and conditioning at their finest. Yesterday, March 4, 2014 the Florida Highway Patrol was monitoring traffic on CR 335 east of SR 41 in the Raleigh area of Levy County. Trooper Michael Corrao clocked a vehicle in excess of the posted speed limit and initiated a traffic stop. The driver made an abrupt turn onto NE 190 Avenue and fled on foot from the vehicle. The driver left a passenger and her two children in the vehicle to deal with the Trooper’s questions. An “All Call” for assistance from Trooper Corrao was answered by Lieutenants Shawn Hunt and Perry Ott and Deputy Patricia Horne. Lt. Ott spotted the suspect and radioed his location to responding units as the suspect fled on foot. Lt. Hunt gave chase on foot, and due to his after hours conditioning, was able to chase down and apprehend the suspect after a lengthy foot chase through fields, yards and woods. Arrested was Shaun M. Klein 12-13-83 of Gainesville on numerous charges. These charges include possession of cocaine, resisting arrest, driving on a suspended license, and failure to obey Law Enforcement order to stop. 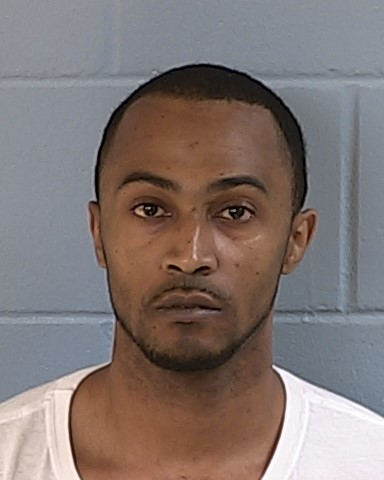 In addition, Klein was also booked at the Levy County Detention Center on several outstanding warrants for Violation of Probation/grand theft, dealing in stolen property and false information to a pawn broker. LCSO thanks the FHP for their continued assistance in making Levy County safer.